In his storied career as a plumber / warrior of justice, Mario has gone to a lot of strange places. The only key thing most of those have in common is this – you usually have to get there by pipe! Much like Santa, Mario’s remarkable ability to travel the length and breadth of various pipes has let him travel all over the Mushroom Kingdom. One of the more classic places pipes take him are underground. Thus, this week of Making It Rainfall, we’re covering the theme of Underground Labyrinth. These tricky, crystalline caverns are mysterious, dangerous and often full of traps. Join us as we share a handful of great levels made by our talented oprainfall writers! My cave labyrinth level is called Kooky Cave. It’s actually a level I was working on before the recent update, so I decided to finish it and test out checkpoints and progressive power ups. The level has a few paths, some of which prevent you from going backwards. I wanted to provide different risks and rewards for each path. The level is “Kooky” because I went a little overboard on the different enemies you can encounter. It’s kind of short overall, but I enjoyed crafting small zones woven into one level. Truth be told, I came up with this level a while ago. I just wanted to save it for the right occasion, so felt now was the perfect time. I made this level with a sort of risk / reward theme in mind. Though you can certainly get through it with little difficulty if you choose, it’s much harder if you decide to collect all the coins. Thus, your greed can easily get you in trouble. It’s a delicate balance, but overall this level isn’t too tricky, and hopefully you all enjoy it as I enjoyed making it! 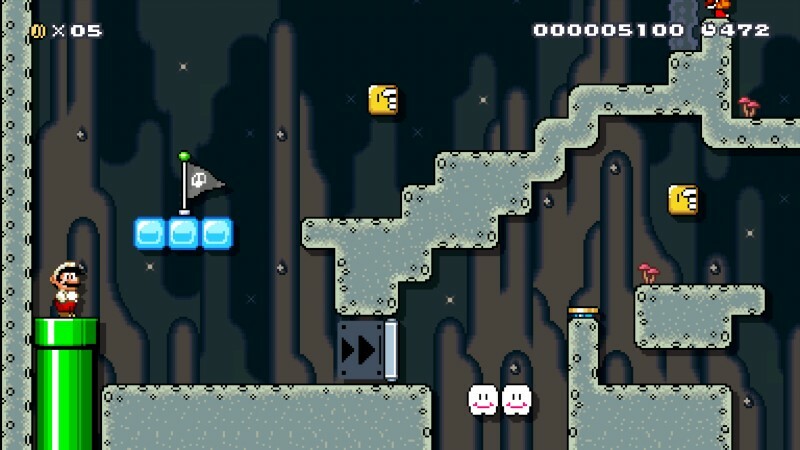 This level was also made by me a while back, but I decided to update and extend it using checkpoint flags. 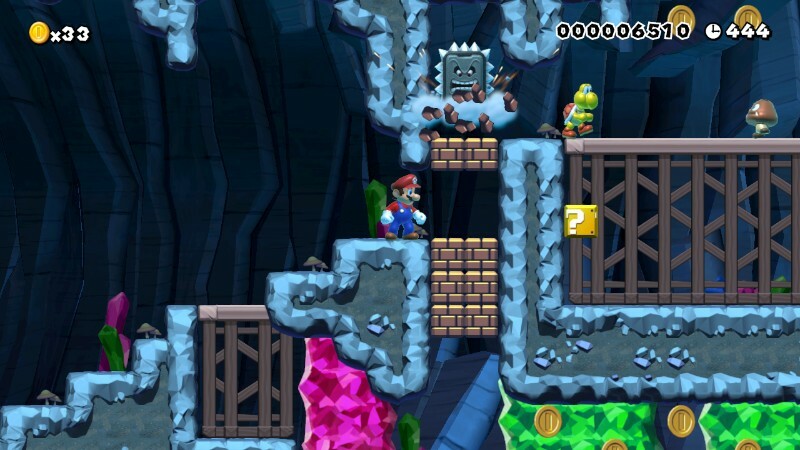 The whole level is strewn with tons of sharp and pointy traps, hence “Chop Suey”. 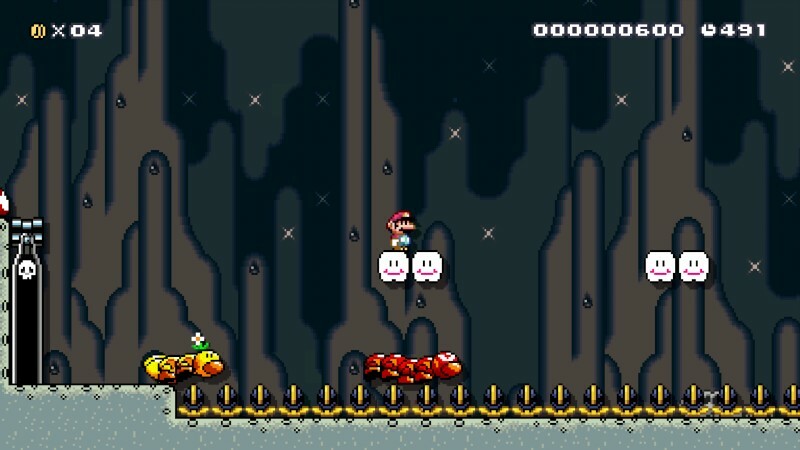 You’ll need good timing and skillful jumps to get through this without getting Mario pulverized. 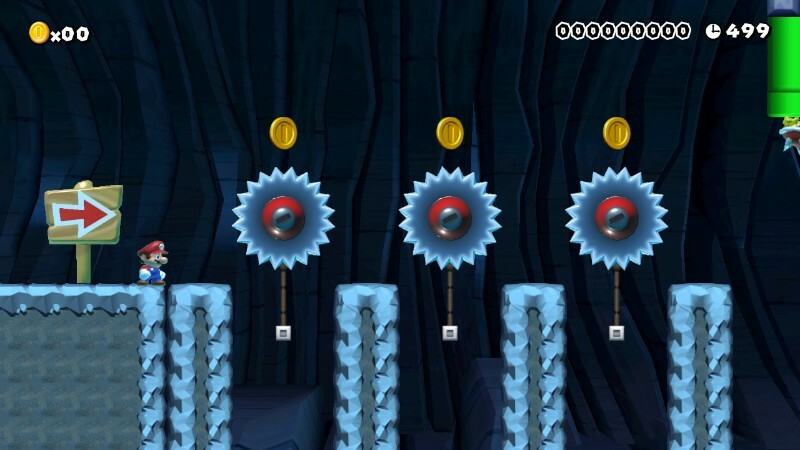 Also, keep an eye out for a hidden route at the beginning of the level that makes things much easier. Good luck and don’t let Mario go the route of Super Meat Boy! I admit, this is probably my least favorite of my levels this week, but I still enjoy it overall. The premise was to have a cave level that was constantly moving, so there are lots of floating platforms, Wigglers, Bullet Bills and more. You’ll need to be on your toes and pay attention here, and quick reflexes are important. Luckily, this is a pretty short stage, so it shouldn’t be too grueling. My one word of advice for the Wiggler section is to jump on one then wait for a second to push it along the path, using the clouds as safety measures. First you have to find your way into the Crystalline Caves below. Once you get in, there are plenty more of Bowser’s henchmen standing in your way. However, this level is not super hard and is medium difficulty. There are some tricky jumps in the cave, but not too bad. 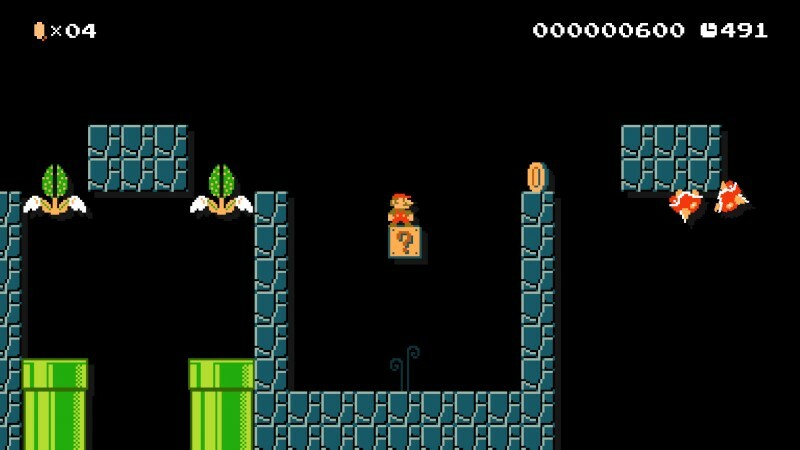 Older Mario fans may recognize an area towards the end of this level, and there is a secret segment near the goal that can only be accessed with a hidden propeller mushroom. 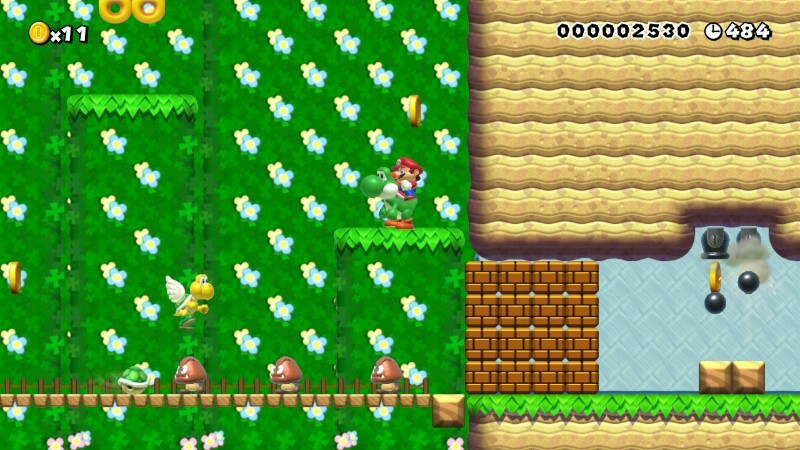 There are also a handful of 1Ups hiding in this level, and maybe Mario’s trusty steed, too! That’s it for this week of Making It Rainfall! We hope you enjoyed this batch, and make sure to join us in two weeks for the next segment!